For many women in Papua New Guinea (PNG), family and sexual violence is part of their life. A study conducted in the 1980s found that 70%* of women there have been physically abused by their husbands, and in some places that number reached 100%*. The figures have not been updated in a nation-wide study since, but a high level of violence remains, and specialised care is still far from adequate. This often takes the form of sexual, physical and emotional abuse by a spouse, family members or friends. Most survivors who come to MSF to seek care as a result of family and sexual violence are females over the age of 18. The violence usually occurs in the place where they should feel safest - their own home. The health consequences of abuses are significant, including serious injuries, unwanted pregnancy, unsafe abortion, sexually transmitted infections such as HIV, infertility and even death. While physical injuries can be easily identified, mental trauma like depression, phobias, suicidal thoughts and attempts can be an invisible but profound scar. Although family and sexual violence have long been recognised as serious problems in PNG, the critical medical and psychosocial needs of survivors are almost completely neglected. Very few dedicated services exist in PNG, so survivors will only go to health facilities to treat their serious physical wounds. Their other less visible health needs are overlooked, resulting in very negative consequences. These substantial gaps in care leave thousands of women without the services they so desperately need. In 2005, Family Support Centres were established by the PNG government in all government hospitals, providing services for survivors of family and sexual violence. However, due to a lack of clear guidance and medical expertise, some centres have not even met minimum standards of care. MSF is the main provider of specialised medical and psychosocial services to survivors of family and sexual violence in PNG. Our experience demonstrates that provision of quality, specialised care is possible. It also shows the levels of need that exist – vary from serious injuries such as broken bones or knife wounds, to the harm caused by daily beatings, slaps, kicks, verbal and emotional abuse. 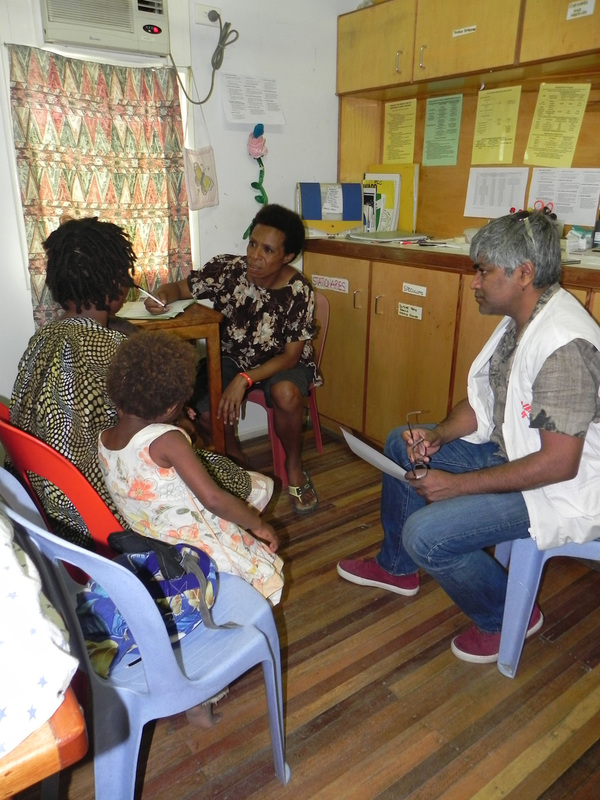 MSF started working in Lae in 2007, and in 2012 MSF provided free, comprehensive medical and counseling services to 6,500 patients. We have recently successfully handed over the Lae project to PNG government, but will continue to provide support remotely. 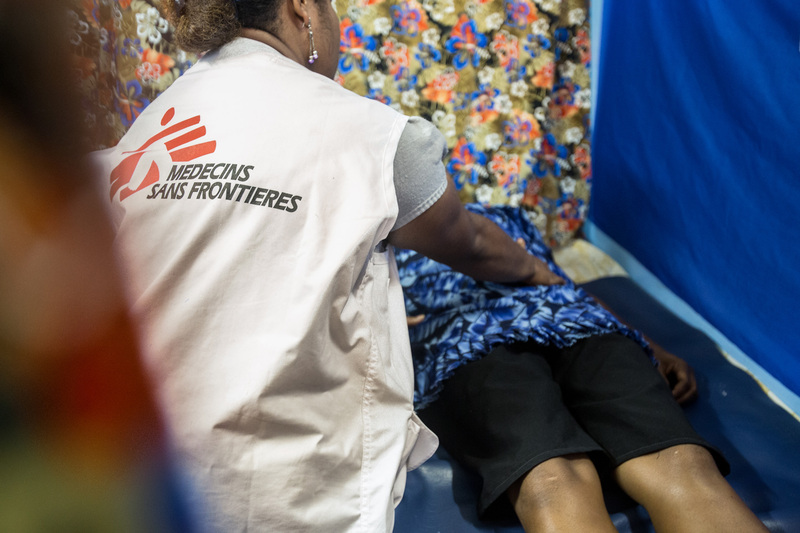 Meanwhile, in 2013, MSF opened a new project in the country’s capital, Port Moresby, treating patients and training local staff to provide integrated care to survivors of family and sexual violence. Plans are underway to expand this project to more urban health centres so that more survivors can receive care close to home. MSF has also been running a Family Support Centre in Tari since 2009. As there is an enormous need for emergency medical care – often after assault – the team offers emergency surgery at Tari hospital. Dr. Ryan KO is a surgeon from Hong Kong. He completed a 3-month mission in Tari in July 2013. He tells us how the widespread violence leads to many unnecessary sufferings. “During my stay in Tari, we once conducted as many as 1,900 consultations in a month. I performed 285 surgical procedures when I was there for three months, not including those minor surgeries conducted in emergency room. 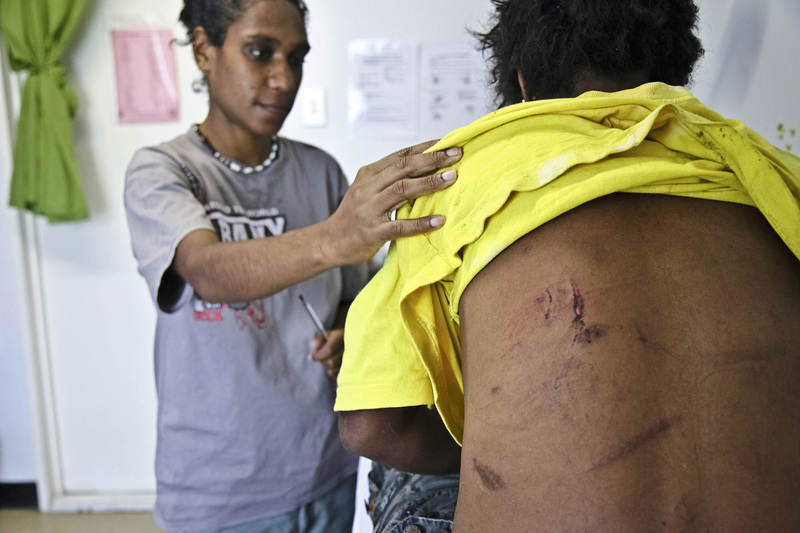 Most patients were injured because of tribal conflicts or family violence, being attacked by knives and wooden sticks. I was told by local staff that in the past, wives lived separately from their husbands in another house, but with the change of living habits, the whole family live in the same house now. More intimate they are, more frictions will arise. And local people intend to resort to violence to solve problems. Therefore, family violence is so common in the local community.